Because of the dress I chose (my mom and I had the best day saying yes to the dress back in December!) I will have my hair up for the ceremony. This isn't my favorite way to wear my hair, but I know it will look best with my dress. After the ceremony, I will have my hair transitioned into a half-down twisted / braided look. I'm really excited about having pictures both ways! Above are some of my inspiration pictures for my looks. 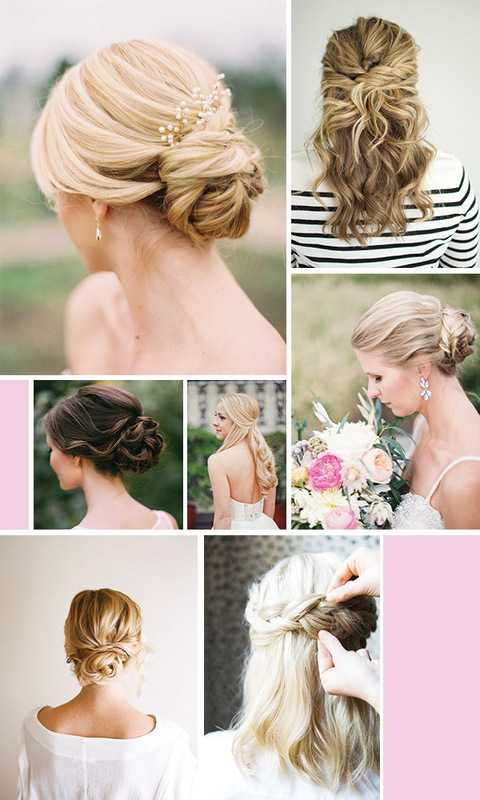 The top biggest image (with blonde hair and the low bun) is probably what I will end up copying, more or less. It's just so simple, pulled together and elegant! How did you wear your hair for your big day?